Lily Askin “swims up” from Otters to Timberwolves. Photo by MPorter Photography. 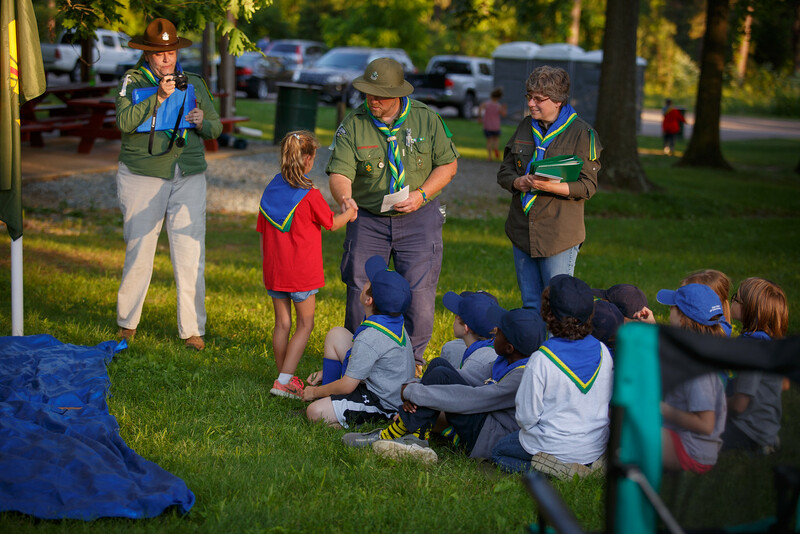 NOTTINGHAM – JUNE 8, 2017 – This month, The 64th Brandywine celebrated the end of the scout season with an award ceremony and campfire at Nottingham County Park. Leaders recognized the hard work of both Otters (ages 5-7) and Timberwolves (ages 8-10) by awarding badges in several general and special proficiency areas including Safety, Service, Conservation, and Observation. Several members of the Timberwolf pack earned the First Star: Dylan Ball, Ronnie Bednarz, Jillian Chase, Henry Grimme, Nathaniel Hontz, Lily Martin, Eoin Mitchell, and Camayo Ochola. In addition, Otter scouts Lily Askin, Rebecca Malitis, Kyra Perkins, and Carolyn Williams “swam up” from Otters to join Timberwolves. The evening began with a presentation by and Tom and Vickie Carter of Green Meadow Honey in Newark, Delaware, who taught the scouts about backyard beekeeping. Mike Porter, of MPorter Photography, took photos at the event. 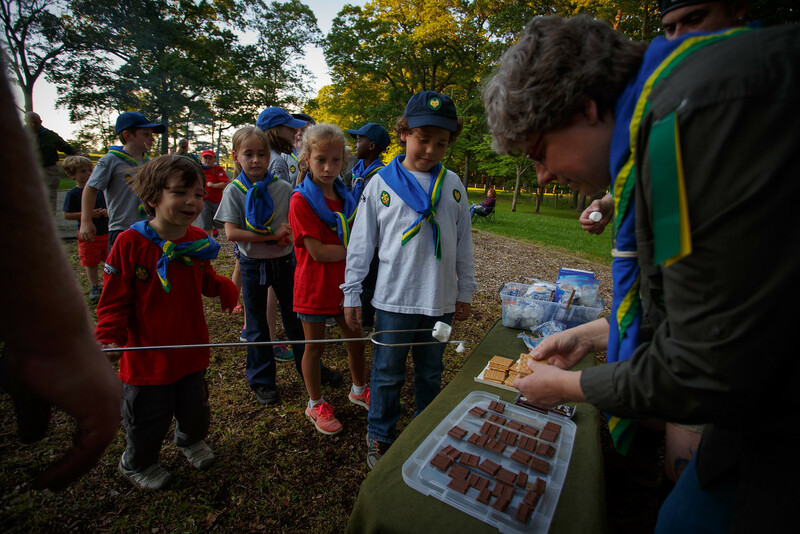 After the awards, the scouts and their families enjoyed s’mores around the campfire. CAPTION: Lily Askin “swims up” from Otters to Timberwolves. Photo by MPorter Photography. 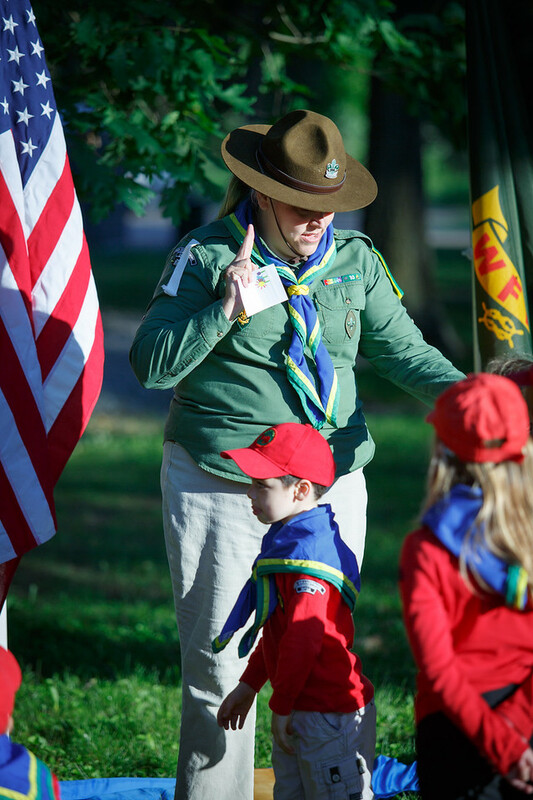 CAPTION: Scouts line up for s’mores. Photo by MPorter Photography. CAPTION: Group Scoutmaster Victoria Grimme awards badges to Otter scouts. Photo by MPorter Photography.